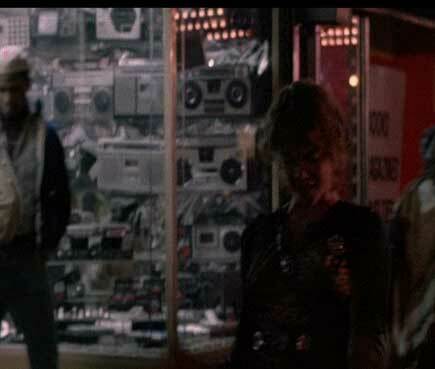 The following frame captures are from the 1980 film Times Square. 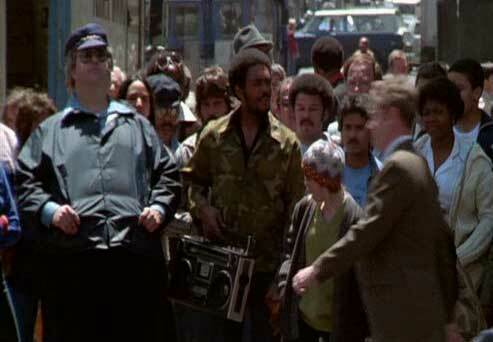 Not only is the movie rife with incredible ghettoblasters, but the story, soundtrack and acting are all pretty good. Grab the DVD if you can. 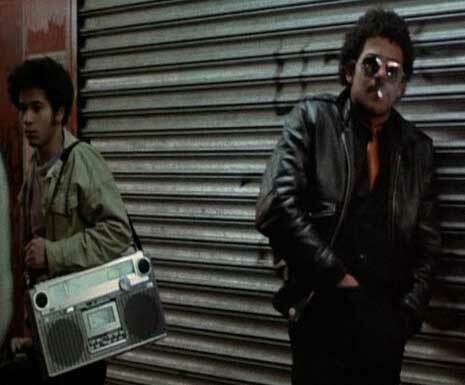 Times Square was shot entirely in depressed, gritty post-disco New York City at a time when boomboxes were to be seen and heard at every turn. Shoulder-strapped JVC. Ignore the guy with his hand in his pants. 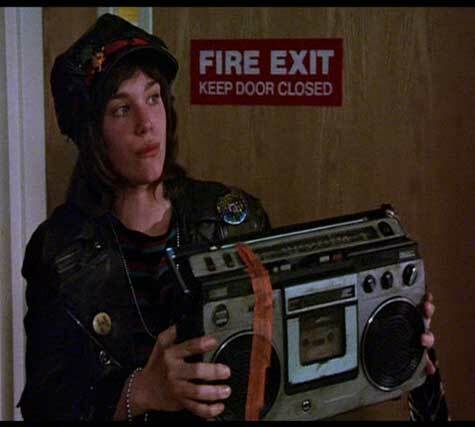 Main character Nicki blasting the Ramones’ “I Wanna Be Sedated” in the halls of a psychiatric hospital. 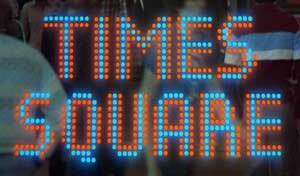 Times Square electronics shop open late for business. 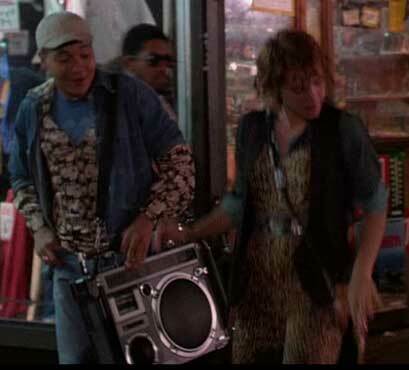 Main character Nicki dancing to the sound of dude’s JVC RC-550. 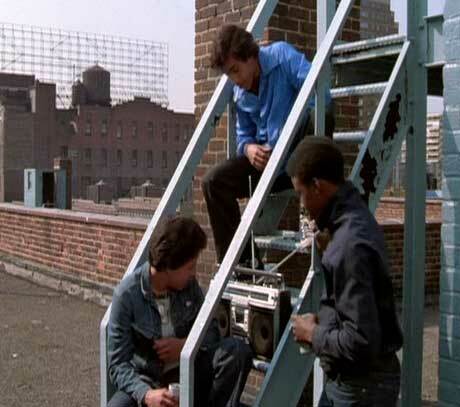 Friends gathered around a boombox on a rooftop. Getting through mid-day traffic with the help of a stereo. 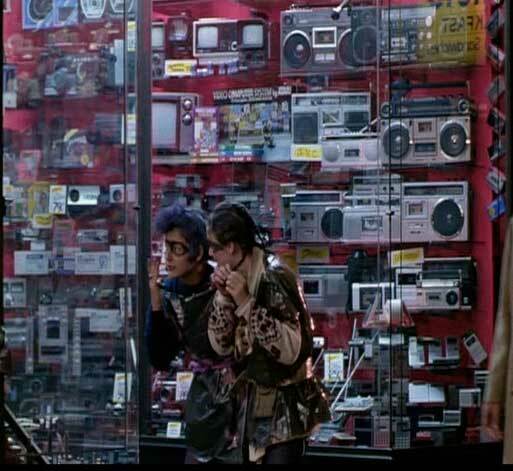 Self-conscious teen punk chicks oblivious to the wonders behind them. 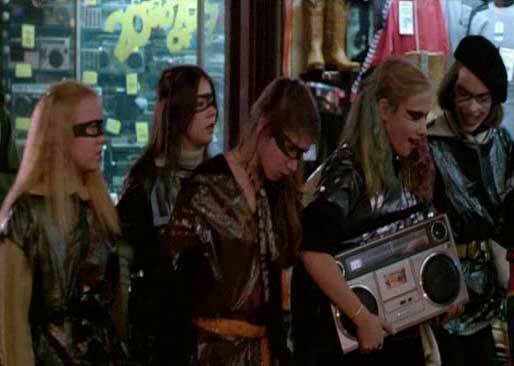 Teen girls resist the dangers of Times Square armed with a boombox.